The past two weekends found me at two different beerfests: Florida Craft Brew and Wing Fest in Vero Beach (February 20), and Riverside Craft Beer Festival in Jacksonville (February 27). I did more than sample new beer at each. 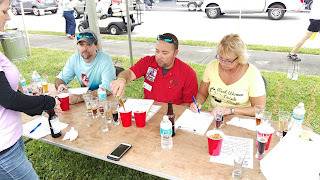 I experienced my first venture into beer-judging, and then I was back in familiar territory behind the table pouring beer. Happy beergirl. Besides beer, there's one thing you might notice about each of these festival logos -- both festivals were presented (again) by local Rotary Club chapters. 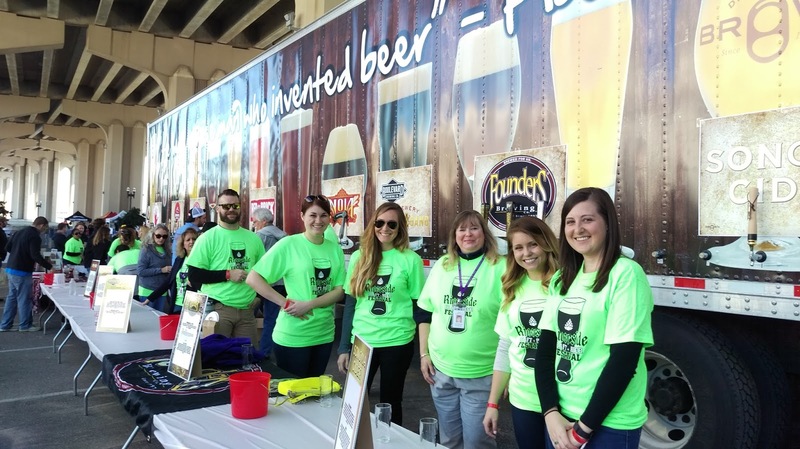 Rotary Chapters are no strangers to the beerfest scene, and the clubs organize beerfests to raise money for distribution to various local charitable organizations. 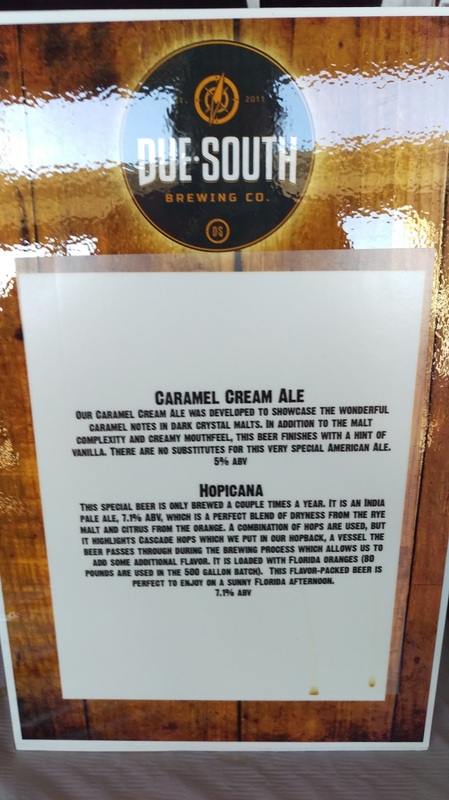 I am pleased to have worked with Rotary Clubs in connection with setting up and/or reporting beer-related events, and I've met some pretty cool Rotarians as a result. 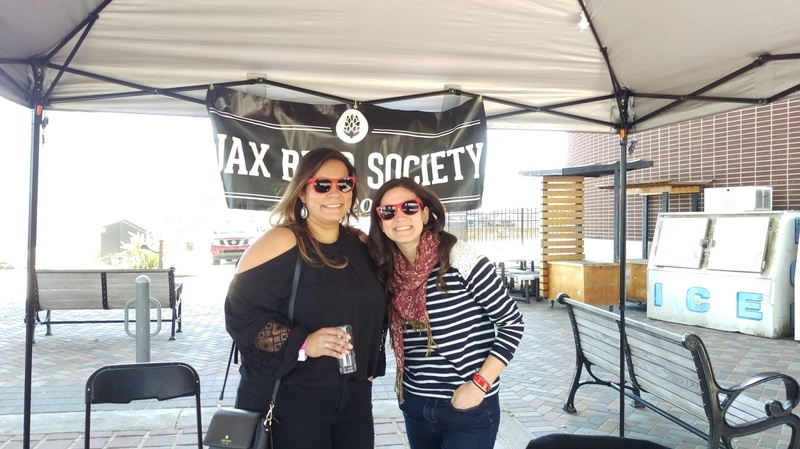 And, as far as these past two Saturdays go, not only did attendees at each fest drink some awesome beer, listen to some great music, and have a good time with friends (or met new ones), they also contributed to fundraising efforts for great causes. The fifth annual Florida Craft Brew and Wing Fest, presented by Vero Beach Sunrise Rotary Club, was again held at the Royal Palm Pointe Park in Vero Beach. 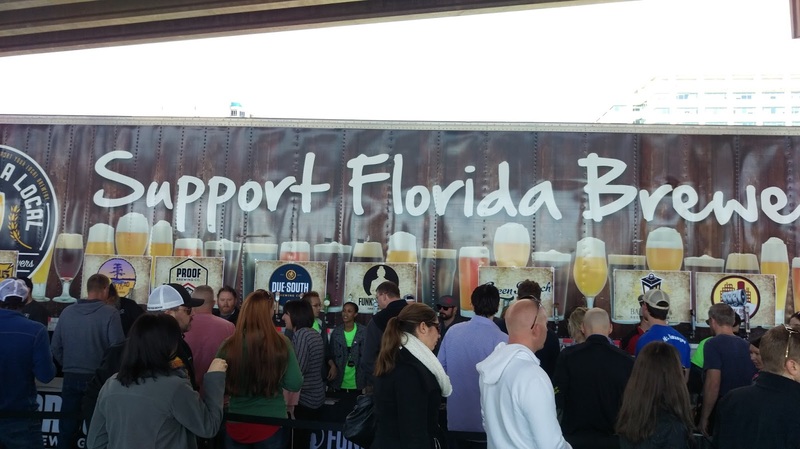 I was a beer vendor at this fest a couple of years ago, and that was my first visit here. One of the cool things about this fest is that it doubles as a competition for bragging rights for the best local wings. If you like wings, this is the place for you, as 18 or so wing vendors offered their versions of all types of wings. I saw some messy fingers and faces in wing sauce heaven. The competition featured two divisions: one for restaurants, and one for independent chefs. Read about a summary of the wing competition HERE (story by local news TCPalm). ... As the afternoon went on, more fest attendees! 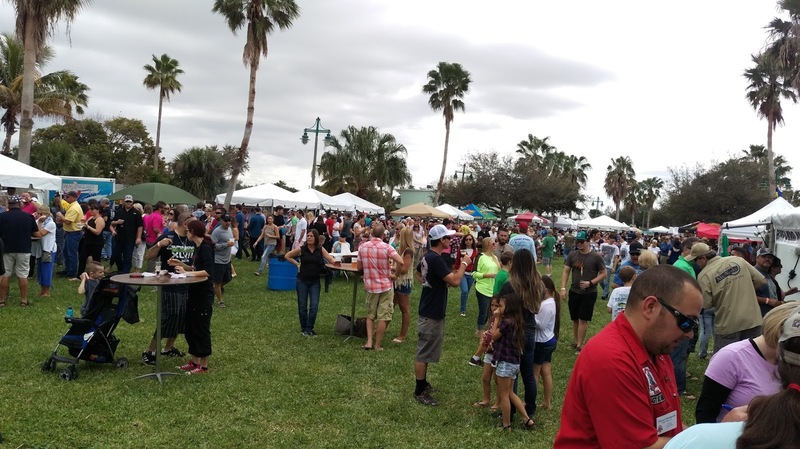 On the beerfest side, there were over 150 beers from which to sample, and the beer list included local breweries, Florida breweries, regional and national breweries. 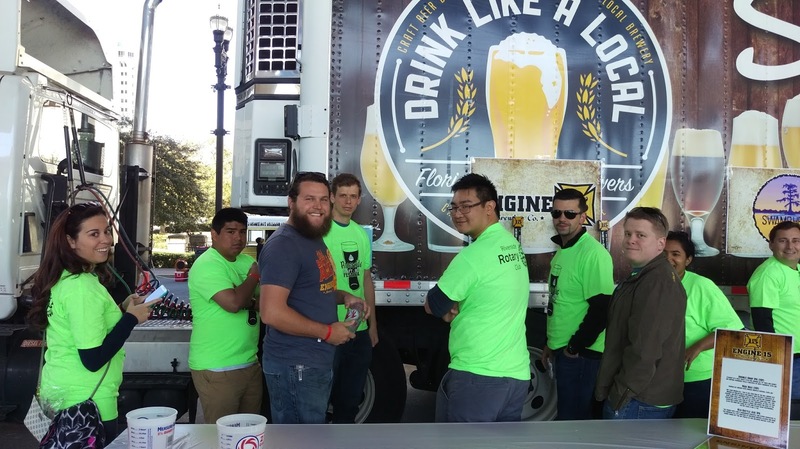 Several up-and-coming local breweries also offered attendees a chance to sample their beers. 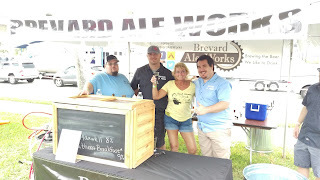 And, local homebrew clubs manned their own tents with a variety of beer styles available for tasting. All in all, quite a tasty lineup of food and beers! Add in two music stages, and there was something for everyone. 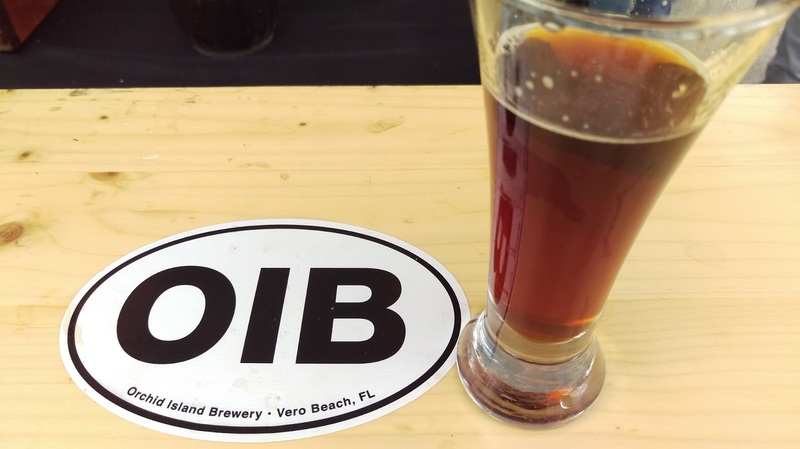 The homebrew competition featured 19 entries, including various beer styles, such as stouts, red ales, IPAs, among others. Some creative brews in the bunch! 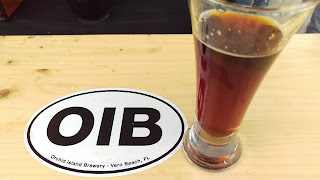 After sampling each beer for aroma, color, taste and off-flavors, ultimately, the three beer judges reached a consensus on the top three spots, in a best-of-show type competition: Brown Rye IPA, Chocolate Imperial Stout, and Sweet Stout. Yeah, it was a tough job, but I'm glad I got to do it! 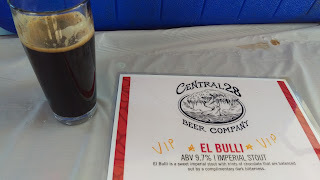 It was my first time judging a beer competition, and it may have put me on the road to pursuing judging further. Not only am I looking forward to doing this again, but I'm also always looking for additional ways to continue beer education! 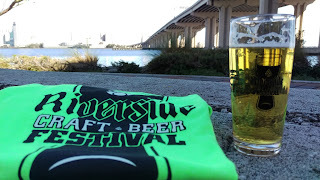 After judging, I was then able to wander around the fest: sample beer, talk to people, etc. etc. Look for them soon in Brevard County. was a combination of chocolate, coffee, maple, vanilla. 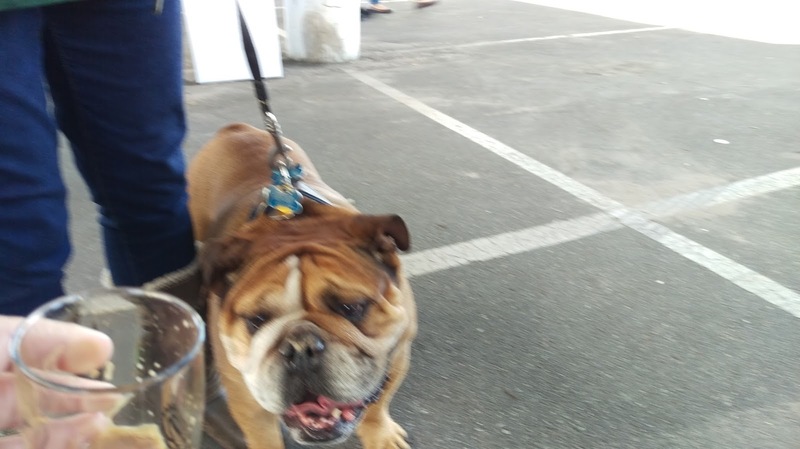 The beer was a hit! always a pleasure.... and, a precursor???? 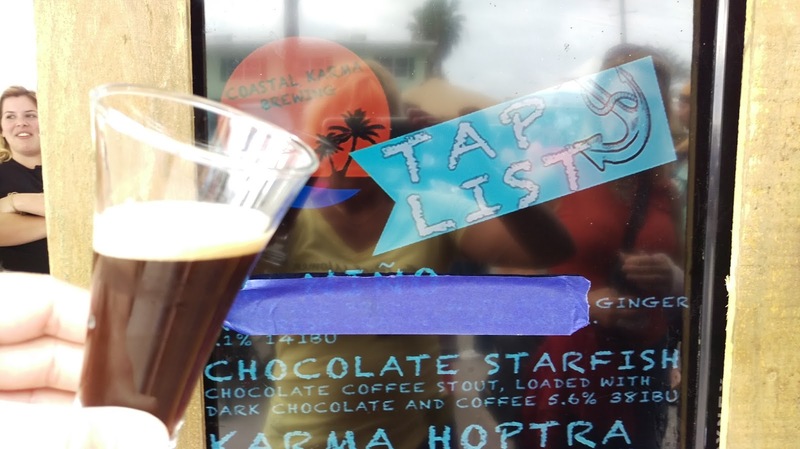 coffee and cocoa nibs in an amber ale: a good one! I visited there after the fest two years ago! I'll be again back soon. 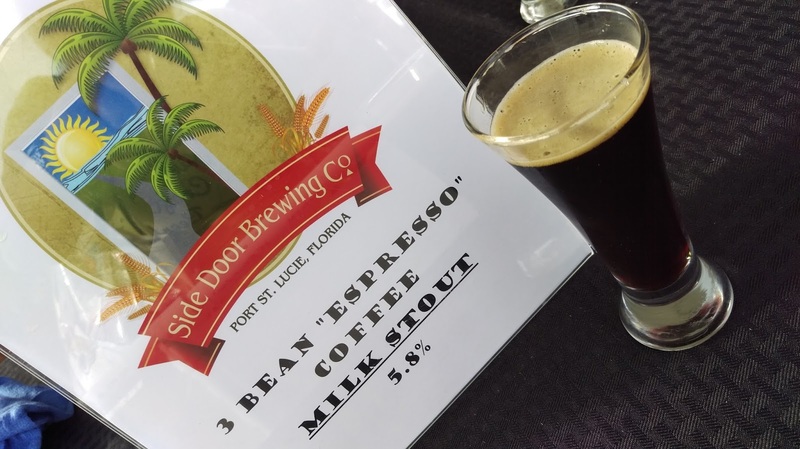 from Side Door Brewing Co. (Port St. Lucie)? Yeah, the name said it all: dark-roasty-smooth good! 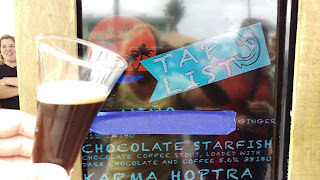 And, another brewery visit for "the list"
This was my 1600th new beer checkin on Untappd! 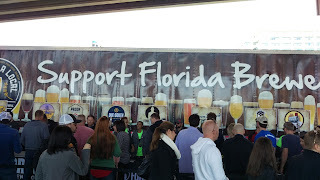 I really enjoyed seeing the new local breweries coming on board in this part of Florida. So, yeah, now there are more breweries on "the list" of places to visit along the I-95 corridor. I'm always up for a beertrip, so I think I'll have plenty of places to go! The attendance at this fest has grown steadily each year, from 3000 to 5000 to 8000 to an estimated 10,000 this year. The venue space was increased from last year, and the additional stage was added. Look for some of those up-n-comers to be on the "commercial" side next year. 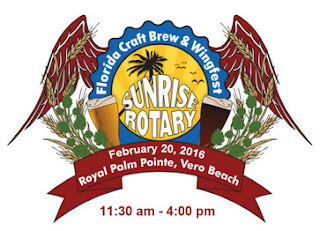 And, thanks again to Rotary Club for the beer-judge opportunity! See you next year, Vero Beach! Back for its third year, the Riverside Craft Beer Fest presented by Riverside Rotary Club of Jacksonville set up under the Fuller Warren Bridge at the Riverside Arts Market with the St. Johns River as a scenic backdrop. I think around 4000 people were giddy with excitement when the forecast for Saturday showed clear blue skies (if you attended last year, you know what I'm talking about! Neither wind, nor rain, nor monsoon, nor.... you get it). See my earlier pre-event story about the what-who-where-when-why-how of the fest HERE. 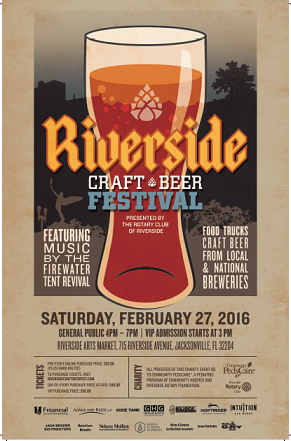 The format of this fest changed from the first two years from beer-per-ticket to wristband with unlimited sampling. 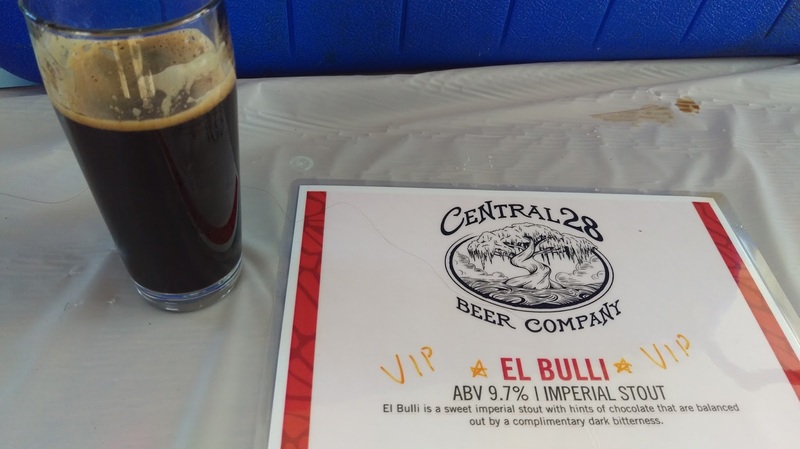 The hour-early VIP ticket offered special-release beers. The venue is dog-friendly, and there were a number of pooches keeping their owners in tow. I was thrilled to have an assignment back behind the table again and part of the beer-pouring crew this year. Since I'd be on the late shift, I was able to sample some the beers ahead of time. 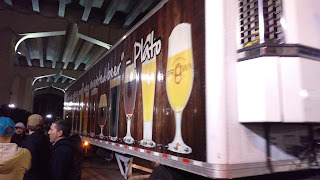 I arrived early as final fest preparations and volunteer check-ins were underway, and the first thing I saw was that travelling behemoth of a semi-trailer, affectionately known as "Draftzilla," that houses kegs and craft beer taps on both sides for beer events. Before the clock hit 3: Ready, set, go! Yeah, that's where I would be in a few hours! 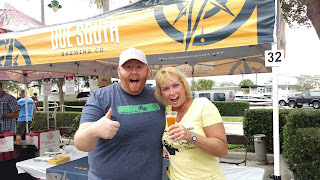 I think I was just as excited to be pouring beer as I was to sample it! It had been a few years since I was up close and personal with Draftzilla. explaining the E15 brew pre-opening. They all turned around for the photo. Say cheers! 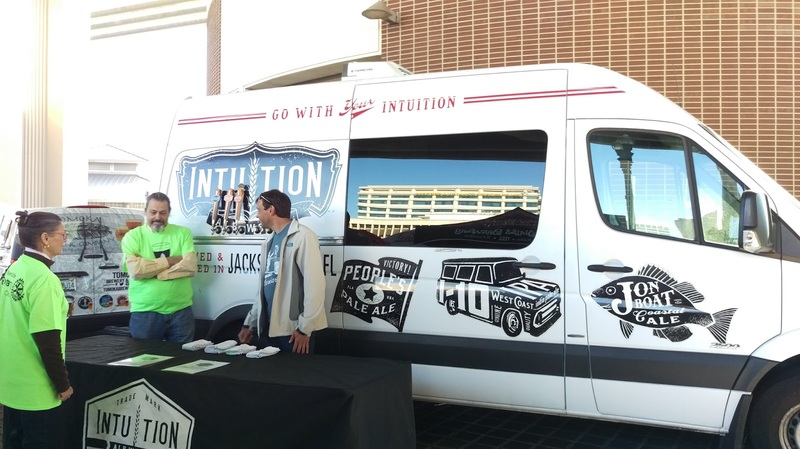 Intuition Ale Works (Jacksonville) brought its van. Like I said: Under the bridge, along the River! I think he approved, too! Jax Beer Society at the beerfest! 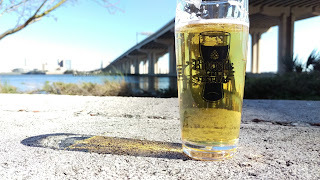 Zeta Brewing, Feb. 29, 5-7pm! Over 100 beers, 11 food trucks, and arts vendors were on hand. Two highly popular local bands, Grandpa's Cough Medicine and Fire Water Tent Revival, provided foot-stompin music at the riverfront stage. There were plenty of places to sit and eat or drink, along with a number of high-top tables for standing. 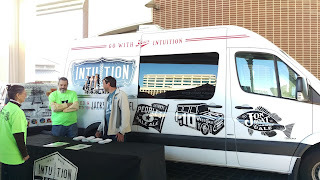 The aroma of food from the food trucks was enough to drive anyone into a hunger frenzy. And, here, a shout-out to Delish Kebabs: those chicken-and-bacon wrapped kebabs with rice were a culinary delight! After that, it was ready to pour some beer! 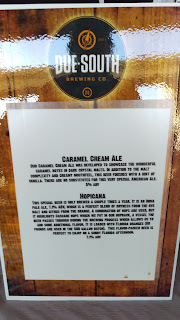 Thrilled to pour these tasty brews from Due South Brewing! As always, the last half-hour, and especially the last 15 minutes, of a beerfest are crazy to say the least! As everyone rushed to fill their glasses with more beer, the clock eventually did hit 7pm, and just like that..... another beerfest in the books! 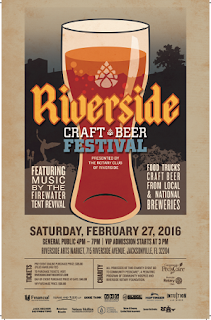 As the beer scene in Jacksonville continues to grow, so will the Riverside Craft Beer Festival. The venue provides an easy-to-move-around setting, and the riverfront stage is a great place to enjoy some music! 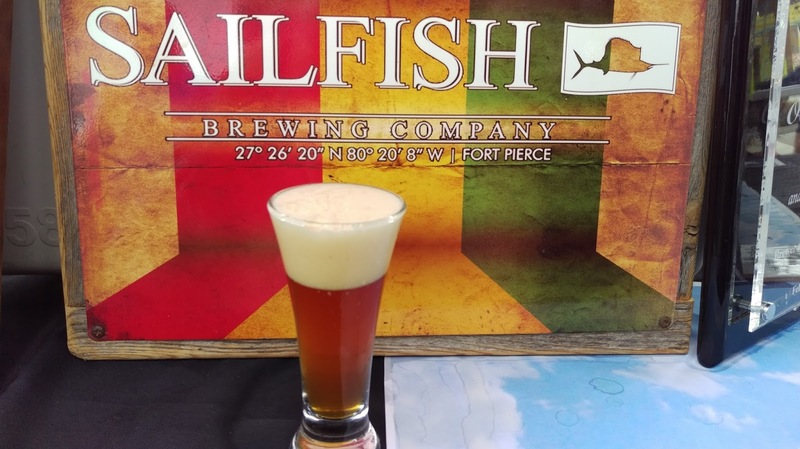 The fest offers local beers as well as beer from elsewhere in the state and across the country. 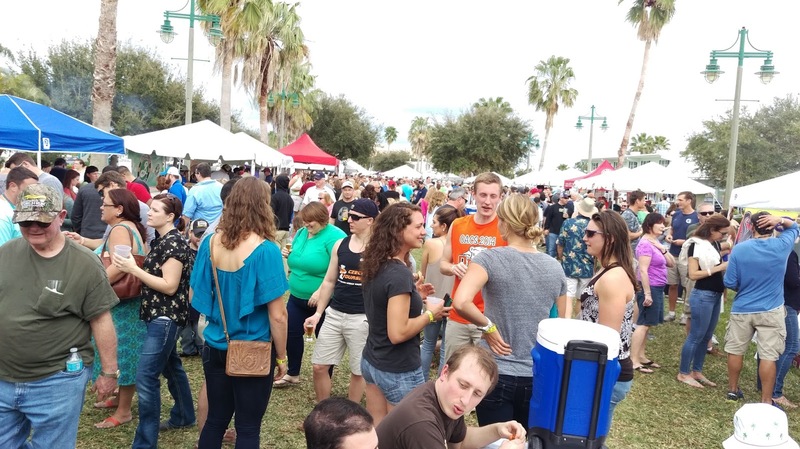 Two more beerfests in two weekends! But, hey, it's only March, and you know there are more beerfests down the road... literally - one near you somewhere.... check my BeerSphere™ Events tab for more beer fests and special events .... I'll even be at a few of those!